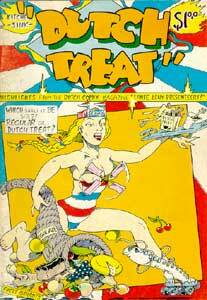 Selections from the Dutch comix magazine Tante Leny Presenteert! Aart Clerkx - 2, 16-17, 22, 24-25, 43? 23 - Tante Leny Presenteert! 26 - Sailears 'n Susie in "The Rolls Reversed"
34 - Steve Stallion in "Lucky or Unlucky"